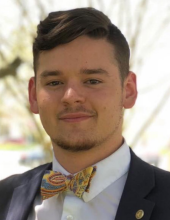 DANVILLE, VA- The George A. Grekos Scholarship has been started with The Community Foundation of the Dan River Region in memory of the 21-year-old Chatham High School graduate. The Scholarship will support Danville/Pittsylvania County graduates, with a preference for Chatham High School graduates, who attend Christopher Newport University. “We are honored to help build this permanent legacy to George Grekos,” said Debra L. Dodson, Executive Director of The Community Foundation. Anyone who wishes to help build the scholarship can support the Fund by sending donations to The Community Foundation, c/o the George A. Grekos Scholarship, 541 Loyal Street, Danville, VA 24541. The Community Foundation of the Dan River Region is an independent, public charity established in September 1996 by a steering committee of local civic leaders to gather permanent funds to support our area. The Community Foundation holds assets of $37 million and has awarded more than $22 million in grants and scholarships.